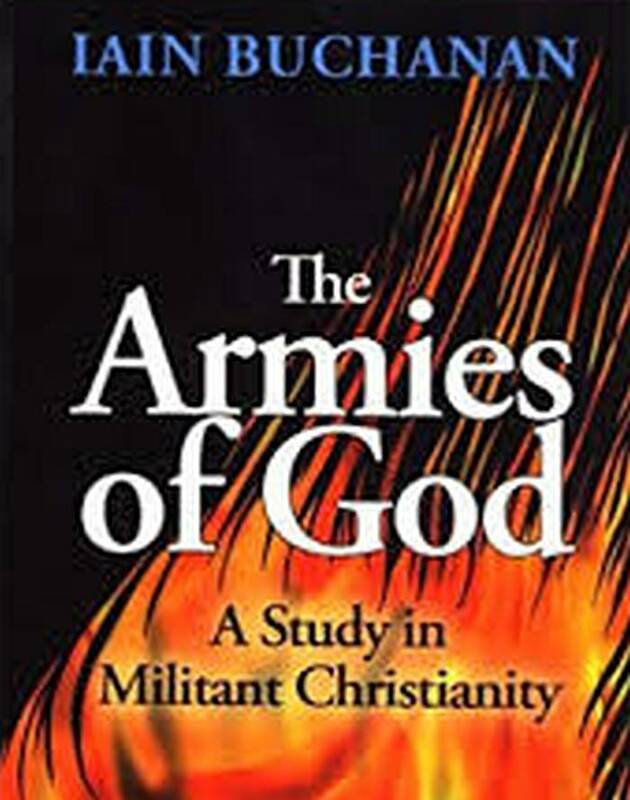 In his explosive new book The Armies Of God: A Study In Militant Christianity, British-born, Malaysia-based academic Iain Buchanan blows the lid off a subject that most scholars and journalists tend to shy away from: the rise of US evangelism as a force in global affairs. I grew up in an agnostic family with respect for spirituality of all kinds — from animism to true Christianity. I suppose one of my strongest incentives for writing the book was to show how, in the West, inherently decent things like liberal secularism and Christian spirituality (no necessary conflict here!) are so deeply corrupted by political power and so dishonestly vaunted as marks of cultural superiority. Not many would want to come out in the open and talk about the issues raised in your book. Was that a concern for you? In the West, certainly, there is a reluctance to enquire too deeply into the affairs of organised Christianity — both at home and overseas. Western culture is a deeply, subliminally Christian culture, and even committed secularists have trouble avoiding Christian parameters in their arguments, and recognising the Christian capacity for wrong-doing. Among other things, this leads to a rather benign view of the behaviour of our missionaries overseas — fed partly by ignorance, and partly by a sense that the Christian mission can be equated with civilisation. And such myopia has increased dramatically over the past 40 years, as the secular West has managed to define a global order largely in its own terms, with decisive help from its Christian missionaries. By contrast, of course, the behaviour of non-Christians (especially Muslims) is scrutinised ruthlessly, misunderstood, and demonised. Academics who have attempted to study the work of missionaries in India have been accused of helping the right-wing Hindutva brigade. Has this been your experience too? The glib response to this would be to say that religious extremism of any kind needs to be exposed. But it is more complex than this. There is a need to go beyond the purely religious objection to Christian missionising, and examine the global forces which define it, and which are subverting countries like India in a far more comprehensive and profound way than most people realise. A key contention of my book is that the extremism of Christian evangelicals is no more benign than the extremism found in non-Christian religious groups. Indeed, its local impact can be hugely destructive — precisely because of its ability to draw upon a vast global network of forces (including powerful secular ones), and its ability to penetrate and shape local forces, whether they be ethnic, religious, political, or social, according to alien priorities. You speak at length of the US’s use of Christianity for it own geopolitical designs. Is this manifestly part of US strategy worldwide? Most Western leaders (not just Bush and Blair) will claim they are inspired by their Christian beliefs. Sometimes, as with both Reagan and George W Bush, they quote chapter and verse in support of policy, although usually it is not so blatant. Certainly, deep in Washington, self-professedly Christian pressure groups (like the Fellowship Foundation and the Council for National Policy) have a highly influential membership and a powerful grip on policy. Of course, one can debate whether US strategy is manifestly Christian in inspiration — few Americans would say it is not, although most would probably insist that such strategy is guided primarily by secular concerns. But there is no doubt at all that US strategy makes deliberate (and somewhat cynical) use of Christian agencies in pursuit of foreign policy — and that the distinction between the religious and the secular is deliberately blurred in the process. There are over 600 US-based evangelical groups, some as big as large corporations, and between them they constitute a vast and highly organised network of global influence, purposefully targeting non-Christians, and connecting and subverting every sector of life in the process. Most of the major evangelical corporations (like World Vision, Campus Crusade, Youth with a Mission, and Samaritan’s Purse) operate in partnership with the US government in its pursuit of foreign policy goals. World Vision, which is effectively an arm of the State Department, is perhaps the most notable example of this. There is also the benefit of a custom-built legislation, with the International Religious Freedom Act of 1998 providing necessary sanction to bring errant nations into line. This means that evangelisation is an intensely secular pursuit, as well as a religious one. In turn, of course, the secular powers, whether they be departments of state or corporate businesses, find such evangelicals to be very effective partners. Indeed, most missionaries are not obviously religious. A case in point is the Success Motivation industry. Many of the most popular ‘leadership gurus’ — Zig Ziglar, Paul Meyer, Os Hillman, Richard DeVos, John C. Maxwell, and Ken Blanchard, for example — are not just management experts, they are also evangelical Christians and conscious agents of US-style evangelisation. Conversely, groups which, on the face of it, are primarily religious, may also serve a powerful secular agenda, such as the collection of intelligence, the grooming of political or commercial elites, or the manipulation of local conflicts. Some accuse the church of fomenting dissent among poor tribals by exploiting them; others say the church is a liberating force. This debate has gone on for decades in India’s North-East. What is your view? The situation of India’s tribal people, like that of tribal people elsewhere in Asia, is certainly tragic. And it may be that Christian activity offers an opportunity to escape the various forms of homegrown oppression — state and corporate abuse, Hindu contempt, and so on. But Christianity in India is a very diverse thing. There are many situations where the Christian church has taken firm root, and is deeply involved in local administration, social welfare, education, and so on. Nagaland is a case in point. There are movements for tribal welfare elsewhere which are Christian-inspired and doing excellent work. But there are many cases, too, of evangelical missions which go into tribal areas with little respect for local realities, and with an agenda far removed from tribal welfare. In this, they may be no better and no worse than the home-grown oppressor. But there is an important difference. Such missionaries often belong to an evangelical network whose strategic purpose is defined elsewhere, and which has little loyalty to the local population, its cultures, its communities, and its welfare, let alone to the nation as a whole. This is particularly true of the new breed of US-inspired evangelicals, led by Baptists and Pentecostalist/Charismatics, who have spearheaded evangelisation over the past 50 years. It is the working of this wider, and self-consciously global, structure of behaviour which is of concern. It is unfortunate that missions doing good work in tribal areas have their efforts tarnished by others whose approach is more opportunistic and exploitative. For the new evangelicals, distaste for paganism is just part of the equation — oppressed tribal groups are a relatively easy target to penetrate in a much wider war against non-Christians generally, and for influence in strategic (especially border) areas. In this respect, even a relatively long-established Christian presence — as in Nagaland — has utility as a strategic outpost. These are turbulent times for India as its number of hungry and poor are growing exponentially even as the wealthy in the cities are becoming billionaires. Does this make harvesting of souls easy? Do missionaries love turbulence? It certainly seems, sometimes, that evangelicals thrive on suffering and disaster. India’s own KP Yohannan, for example, welcomed the tsunami of 2004 as “one of the greatest opportunities God has given us to share His love with people” — and he was only one of many expressing such sentiments. There is no question that many evangelicals exploit the poor and marginalised for reasons which have a lot to do with narrow theology and political self-interest, and relatively little to do with long-term practical help. But evangelicals court the wealthy and the powerful of a society with equal passion. One of the most telling features of the new evangelism is the way it has turned Christianity into a force for protecting the rich and powerful. US Protestantism, in particular, has worked hard to undermine the impulse in the church towards social justice and reform. A measure of its success has been the defeat of Liberation Theology and the remarkable expansion of US Pentecostalism in Asia, Africa, and Latin America. More than a quarter of all Christians now belong to Pentecostalist and Charismatic churches. In these, as in most new evangelical churches, great attention is paid to a ‘theology’ of economics which stresses individual profit, corporate obedience, the sanctity of making money, and the power of “miracles, signs, and wonders.” This ‘theology’ is a key part of modern imperialism: it offers something to both rich and poor, it is safely counter-revolutionary, and it ties tightly into the wider global network of more secular influences (in business, government, education, the media, the military) which underpins Western expansion. So the evangelical church has a key role to play in a society as disparate as India’s. It is a form of social management: it gives divine sanction to the rich, it gives hope to the struggling middle class, and it cultivates discipline (and distraction) amongst the poor — and it does all this with a keen eye to the West’s self-interest. This is not to suggest that India does not have its own mechanisms for doing the same things. But such evangelisation, as a concomitant of Westernisation, is bound to strengthen as India urbanises and looks ever more Westwards. A recent issue of the Texas-based magazine, Gospel For Asia, says: “The Indian sub-continent with one billion people, is a living example of what happens when Satan rules the entire culture... India is one vast purgatory in which millions of people .... are literally living a cosmic lie! Could Satan have devised a more perfect system for causing misery?” How and why does such propaganda work in a developed country like the US in the era of the Internet and the media? There are two important points here. First, we must not assume that the ‘developed’ West is free from wilful ignorance. Indeed, wilful ignorance is often a very useful weapon. We need enemies, and, as religious people, we need demons. The utility of Islamophobia is a case in point. Besides, there’s a useful role for such bigotry within the system: as a foil for the liberal powerful to prove their liberal credentials. But such attitudes are nothing new, of course. Christians have waged such ‘spiritual warfare’ against their enemies for centuries, and with the same kind of language. What is new is the vastly increased facility, offered by the electronic media, for fighting such a war. And this is the second point. New technology is spreading, and hardening, such bigotry. Since the mid-1960s, the evangelical movement has systematically computerised its entire global operation, creating huge databases of information on its non-Christian enemies, centralising administration, and linking some 500 million ‘Christian computers’ worldwide for the purposes of fighting ‘spiritual warfare’ against non-believers in strategic places. And ‘spiritual warfare’, for the evangelical Christian movement, is not just a matter of prayers and metaphor: it is also, very decisively, a matter of ‘virtuous’ troops, tanks, and drones.